iF Digital, being a professional website design Melbourne company, offers a whole lot more than just a great web design. We know that design for designs sake might get you compliments from your friends and family but may not necessarily deliver the desired results for your business. The only real test of our design is whether it effectively supports your digital strategy. We develop unique custom websites that showcase your brand and keep your customers coming back. We always favour clean and intuitive designs over confusing and over-complicated. Our professional website design insures that your website looks fantastic and is easy to navigate and read on all devices and screen sizes. Main objective of custom website design is to create a unique and engaging user experience. 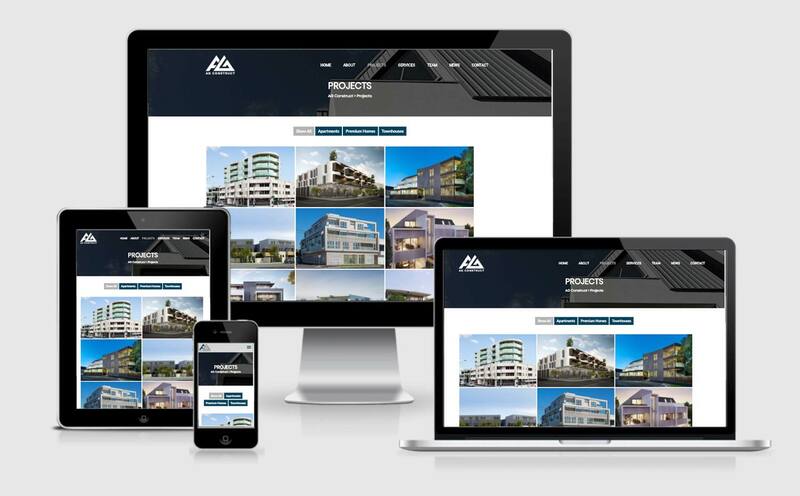 This is achieved with the use of detailed planning and smart responsive design. The result is website that attracts and holds your visitors attention and makes them follow your calls-to-action to take the next step. Layout, intuitive navigation and content presentation are some of the factors that impact on user engagement. We’ll work closely with you throughout the design process to ensure that not only you are totally satisfied with your website design but also that the website effectively performs it’s objective. Clean and professional look and feel that immediately delivers credibility to your business. Responsive design which insures that website looks great on any device. Well organised content, which is easy to read and navigate. Strategically positioned and clear calls to action.